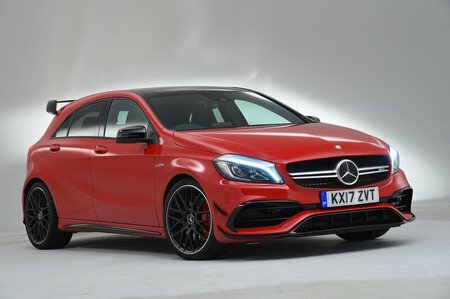 Mercedes-AMG A45 Interior, Sat Nav, Dashboard | What Car? A great driving position is important in any car, but it’s even more crucial in a hot hatch. 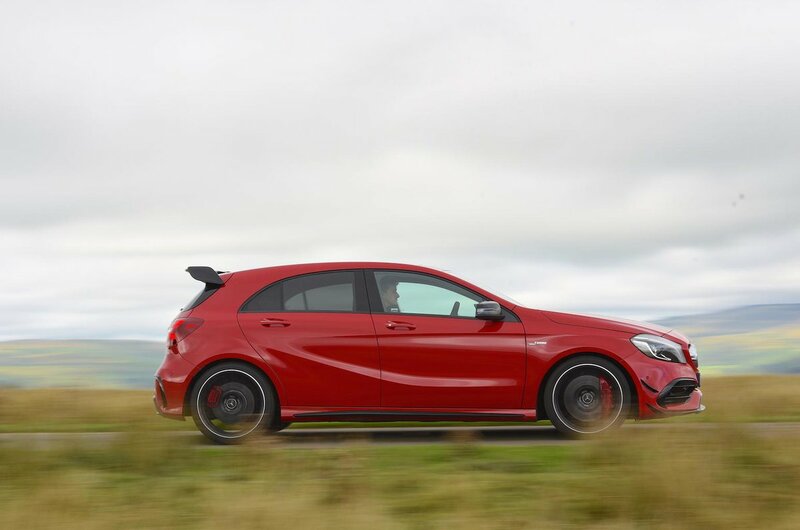 Fortunately, the A45 gets the basics right; the standard, figure-hugging sports seats hold you in position securely through corners and the steering wheel has plenty of up-and-down and in-and-out movement. The pedals are positioned slightly too far to the right, but not uncomfortably so. A carbonfibre-effect dashboard comes as standard, as do red vent surrounds and stitching, which all help to brighten up the otherwise grey dashboard. Interior quality is a little disappointing given the high price, though – the cheaper Audi S3 is much classier inside. Like every A-Class, the A45 has a fixed iPad-style display in the centre of its dashboard. The system is actually controlled using a rotary dial positioned between the front seats, rather than pressing the screen, and sat-nav and a DAB radio are included in the price. It’s just a shame the on-screen menus are a bit confusing.